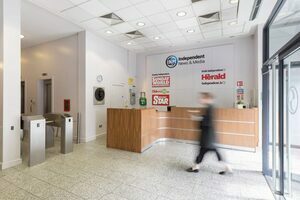 “Independent News and Media (INM) has recruited Deloitte for yet another investigation into an alleged major data breach at the newspaper publisher. “It has also threatened outside IT experts, recruited under the supervision of former chairman Leslie Buckley, that it will sue them unless they co-operate, according to court papers. “…Mr Buckley is refusing to meet the Deloitte investigators. 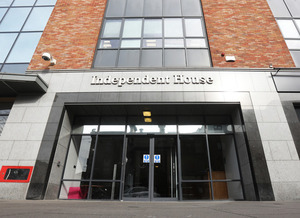 In letters to INM’s legal advisers McCann Fitzgerald, Mr Buckley’s lawyers cite his anger at a letter sent by INM to the so-called INM 19, who were among those whose data was searched. Previously: Why Did You Pay To Have These People Hacked? Posted in Misc and tagged data breach, High Court, INM, ODCE at 12:34 pm on August 8, 2018 by Bodger. The reputational damage is incalculable how much longer can Les remain Chairman of CTI Global an IT cloud recovery service,with an illustrious list of high profile clients, would you hire them with Les as Chairman in the midst of a criminal investigation,certainly won’t be getting much work in NY or stateside. 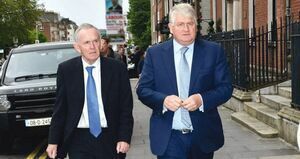 Not to mention the boards of Digital and SiteServ must be incredibly uncomfortable with Les still in situ amidst all these allegations regarding fiduciary duties and possible criminal charges. The tipping point here is when they trow him in front the next fast moving bus-until then……..
or when someone is seeking protection against creditors and or a Bankruptcy Petition ……..
a little off topic-ok ok a lot-while researching Liberty Latin America-Digi’s biggest competitor,came across a great review/analysis-its towards the end of this.